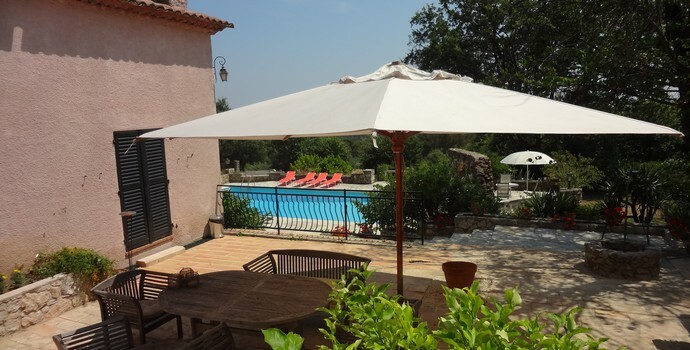 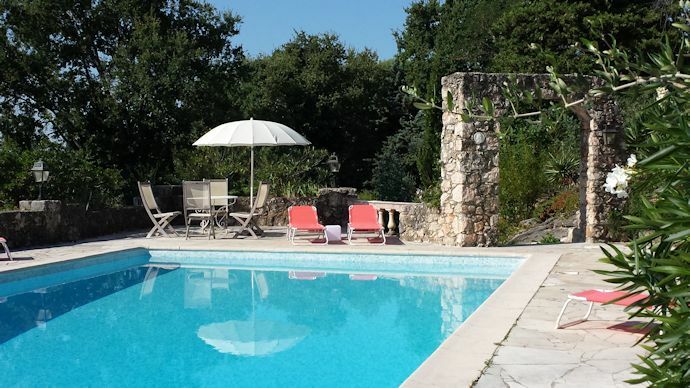 Villa Olive is a beautiful, authentic Provencal villa with a caretaker’s cottage, offering great views, privacy, a large pool and bbq area. You can rent the 2 houses seperately or together. 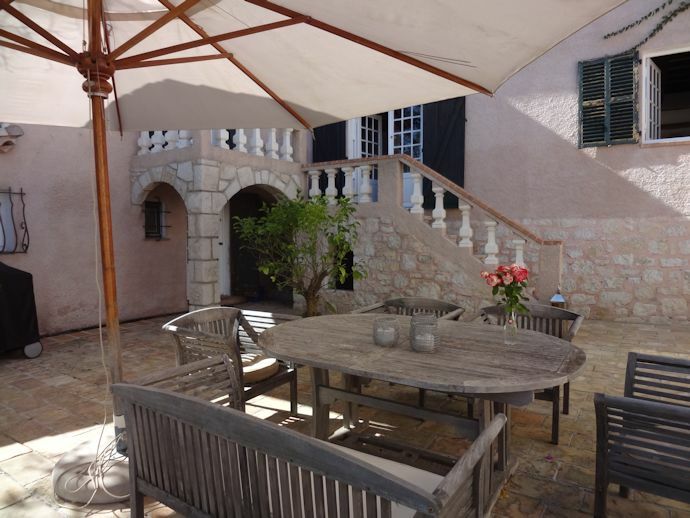 The main villa has the exclusive use of the pool, bar & billard area and 13.000 m2 of the garden, it has a large terrace and a bbq area. 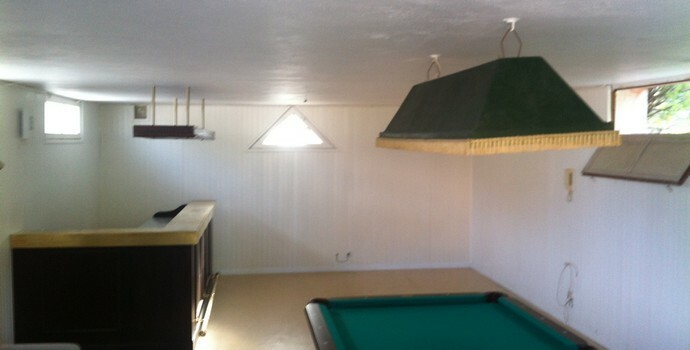 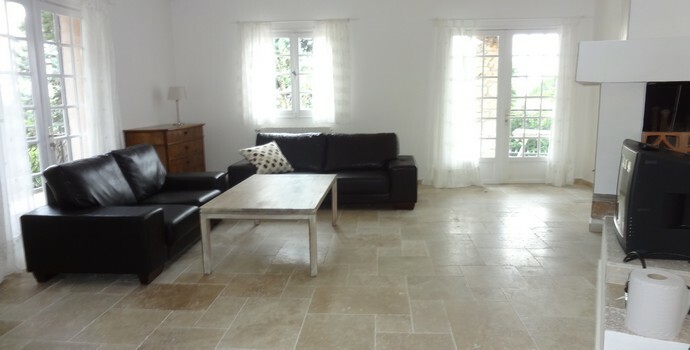 This is a unique property for large families or groups travelling together who still wish to have their own space. 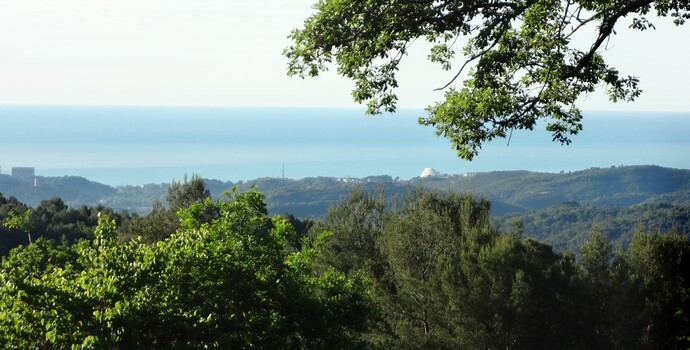 The 2 villas are set in 14.700 m2 (3,6 acres) of beautiful gated grounds with far reaching views towards the Mediterranean Sea. 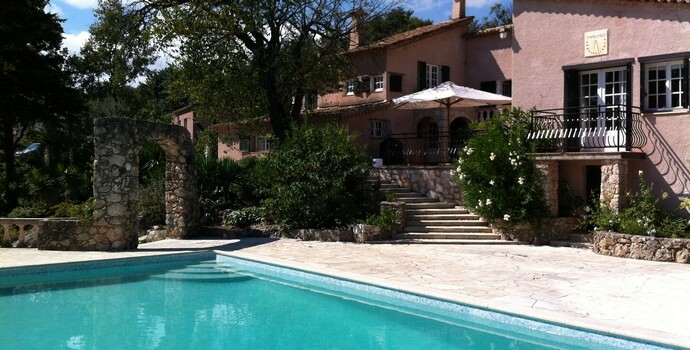 The large (12*6 meters) swimming pool is in the front of the main villa. 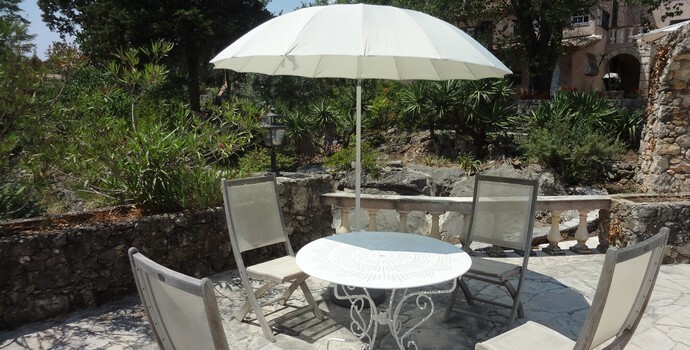 Terraces for outside dining can be found at the court of the property and near the pool where you also find a pool house with BBQ. 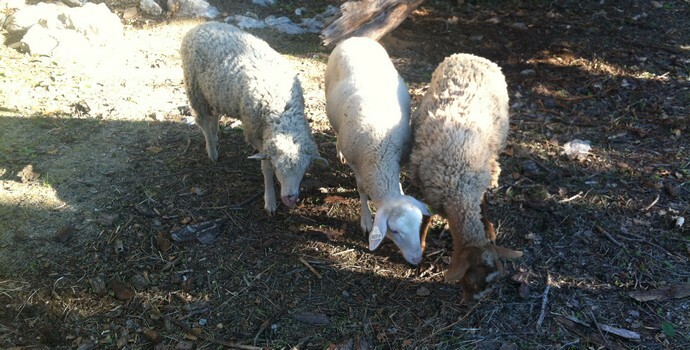 About 5000 m2 of the land is dedicated to a small private fenced forest where you will find sheep grazing. 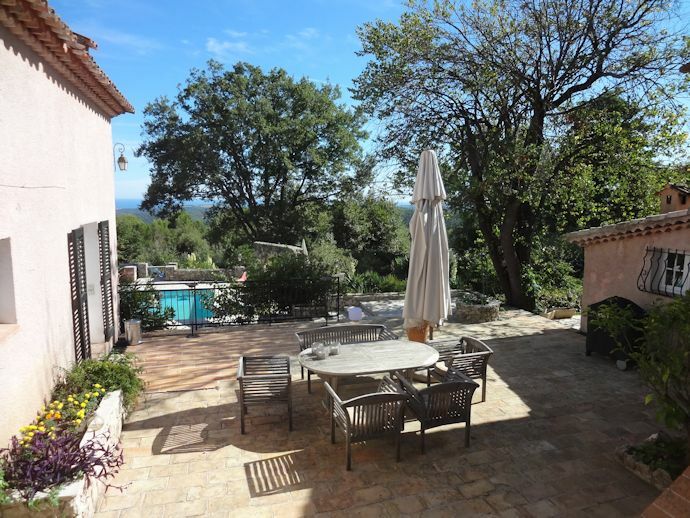 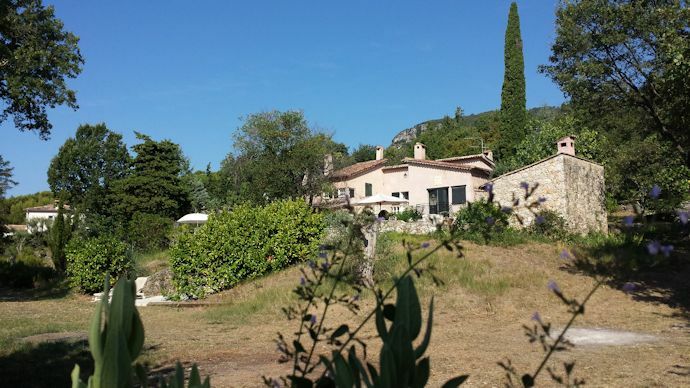 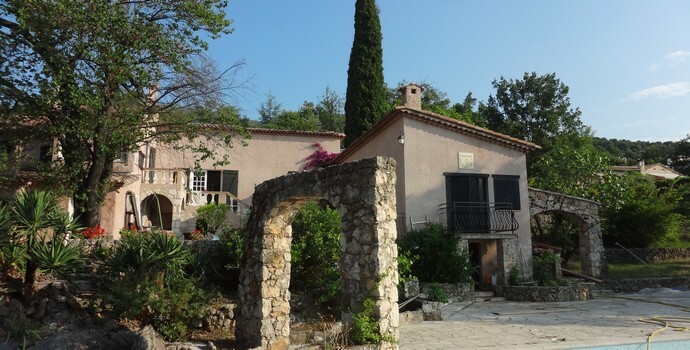 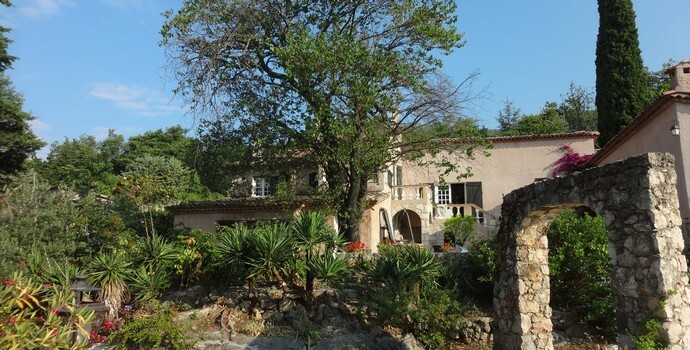 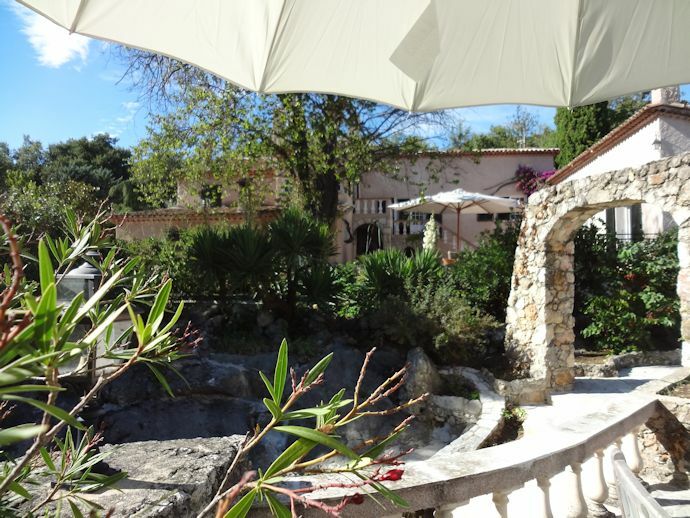 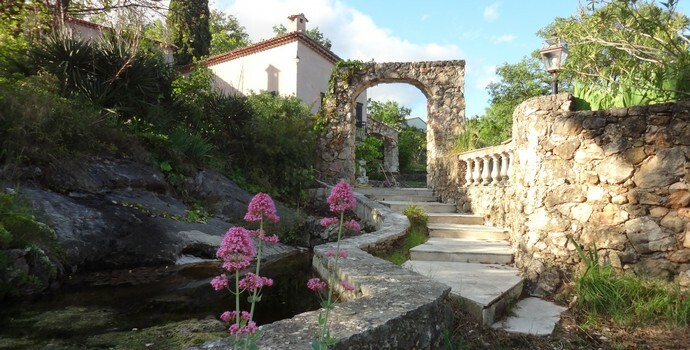 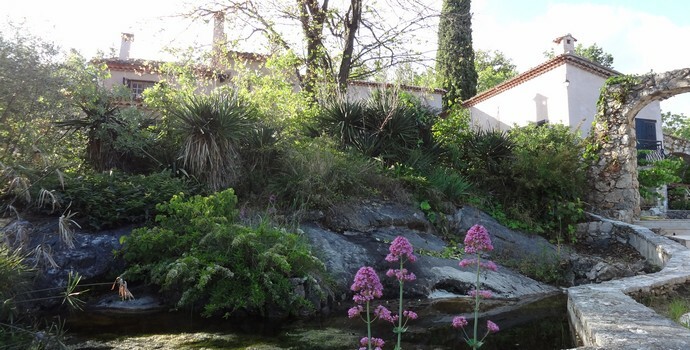 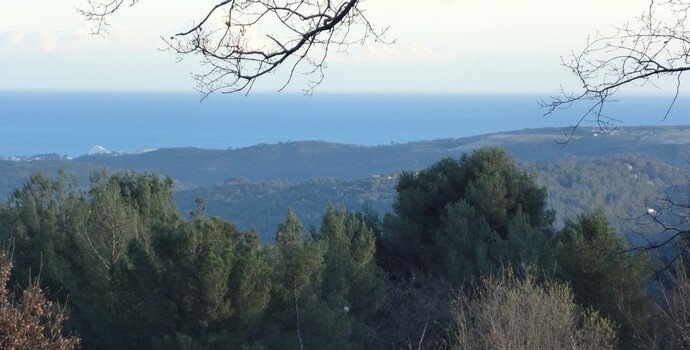 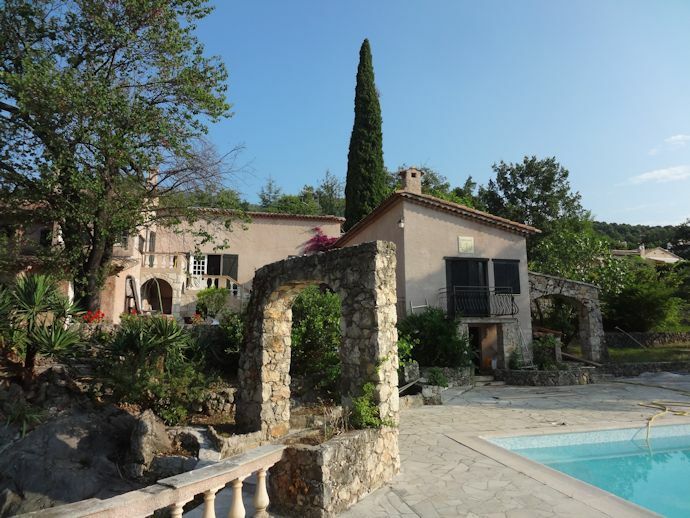 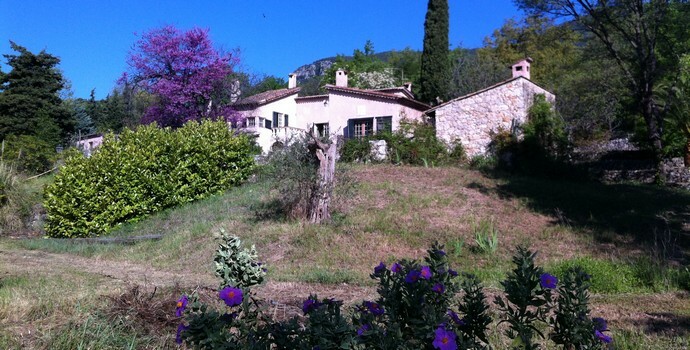 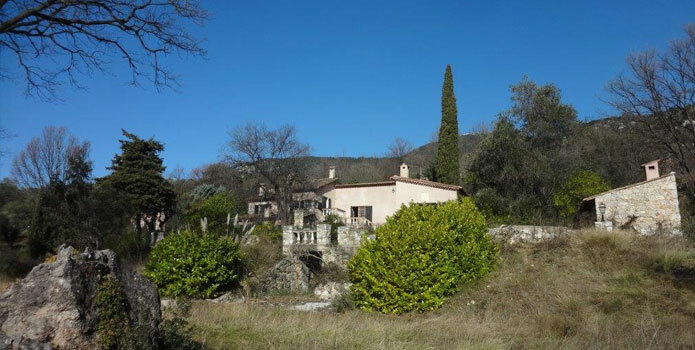 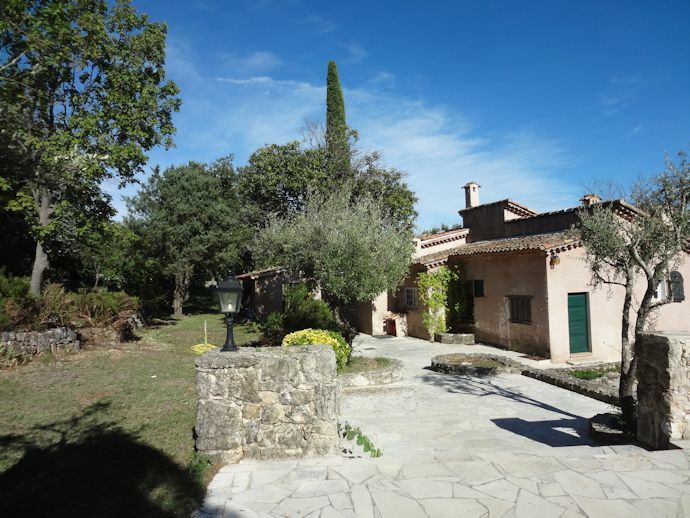 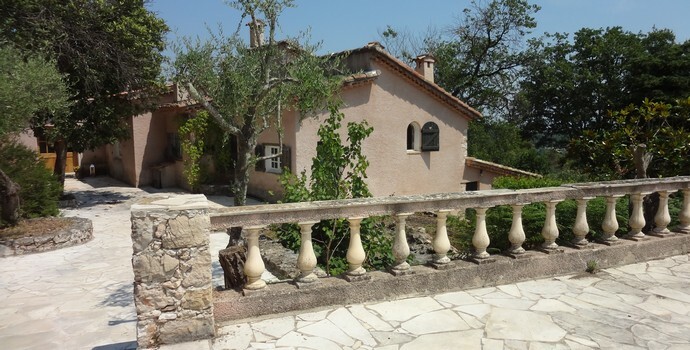 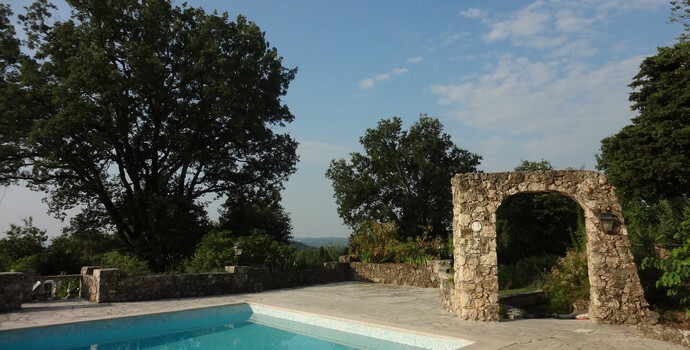 Domaine Olive is located close to the medieval village of Tourrettes sur Loup, ideally situated for exploration of the surrounding areas, Nice, Cannes, Saint Tropez etc. 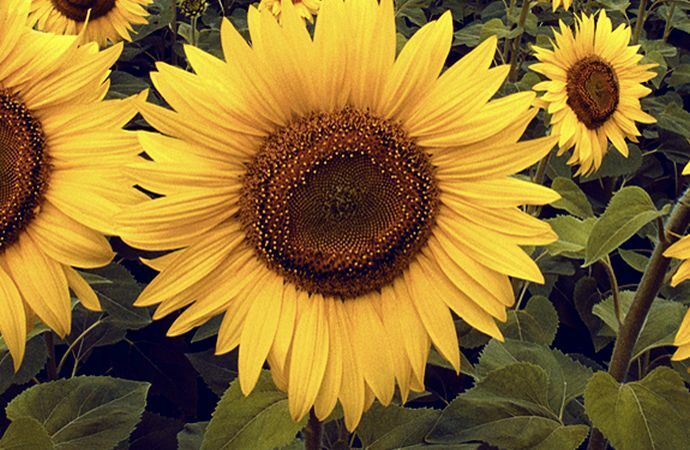 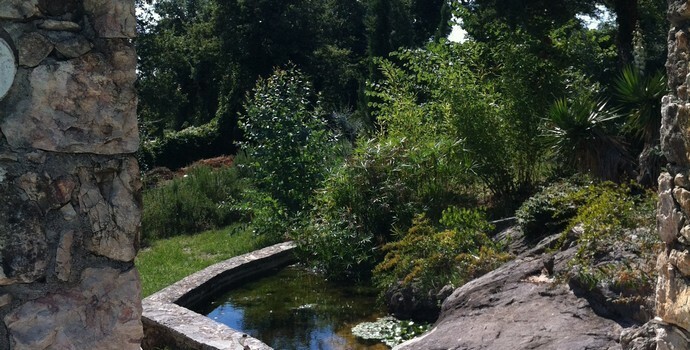 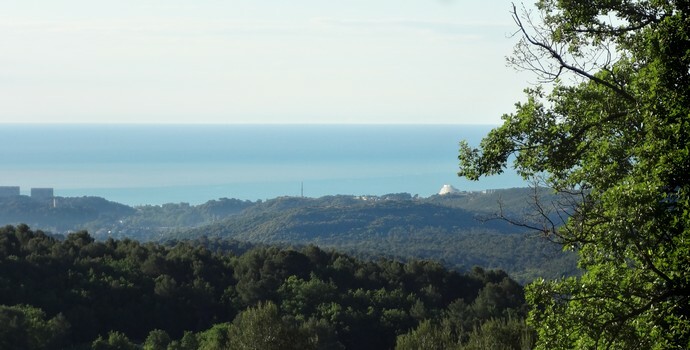 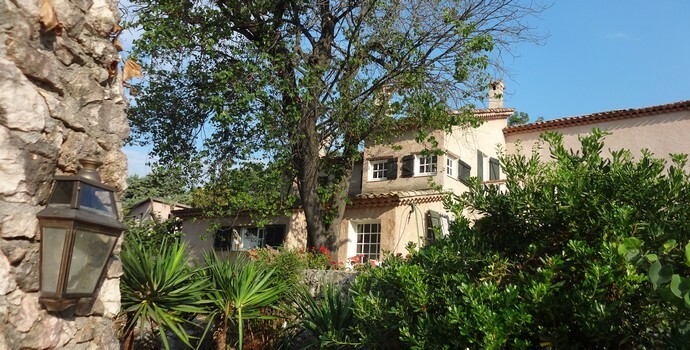 Distance is about 30 minutes from Nice international airport and 15 km from the Mediterranean Sea. 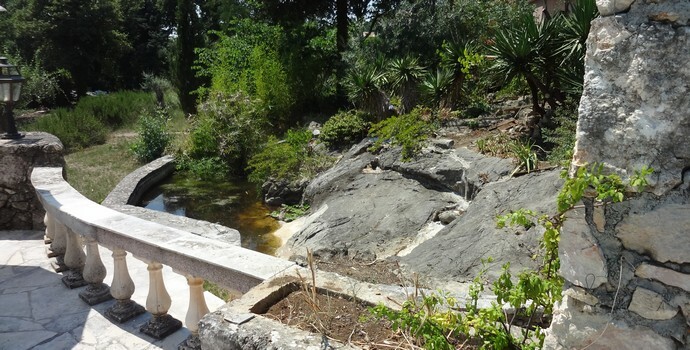 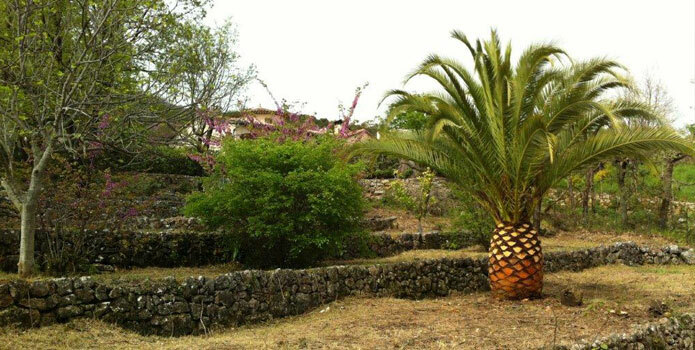 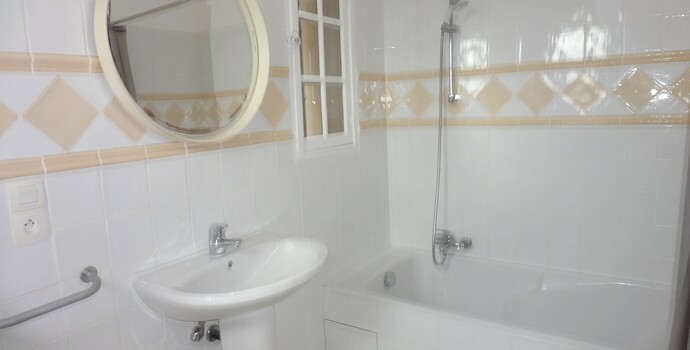 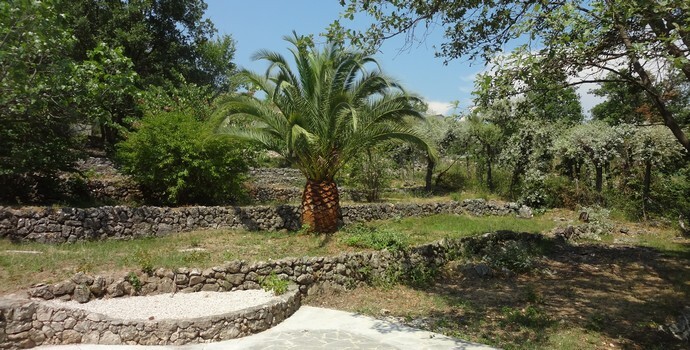 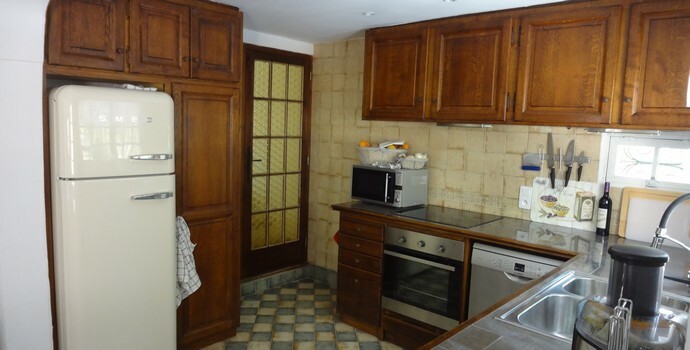 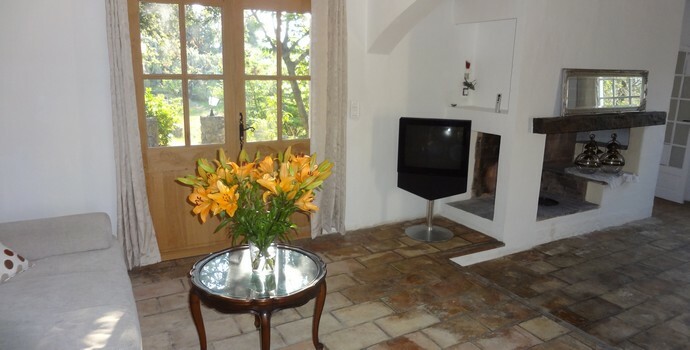 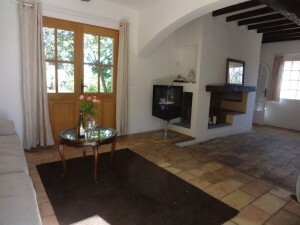 The property is ideal for a large family or several families holidaying together. 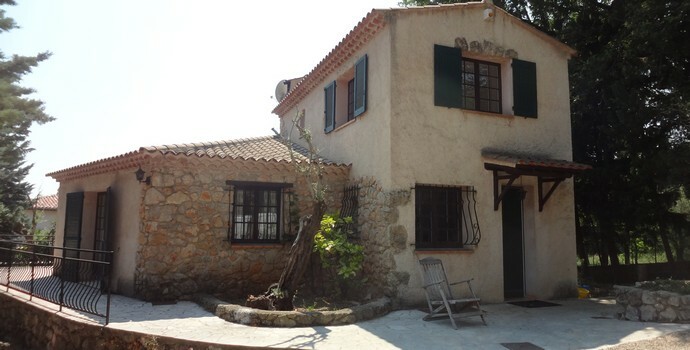 Read more about the houses here. 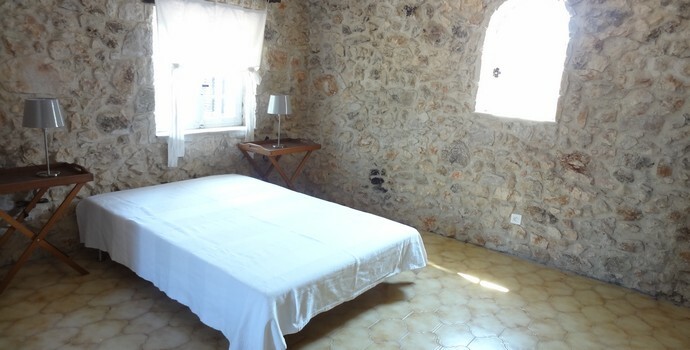 The main villa has 3 comfortable bedrooms with en suite private bathroom plus a living room with fireplace and fully equipped kitchen. 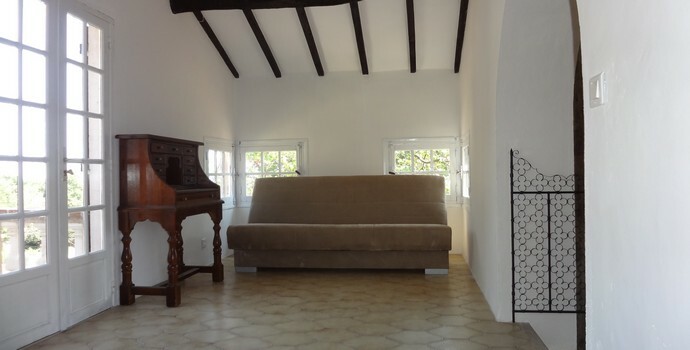 6 persons will sleep very comfortably in the house with an option for 4 extra persons in fold-out sofa beds. 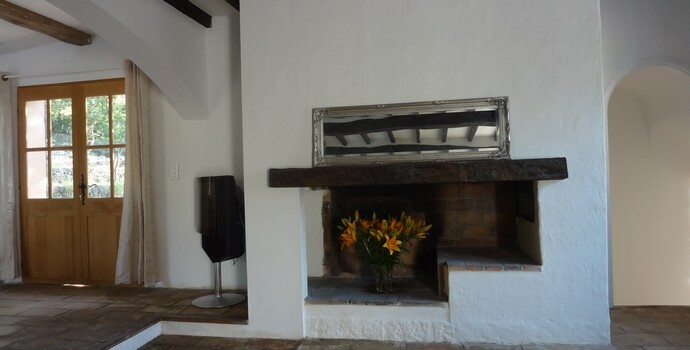 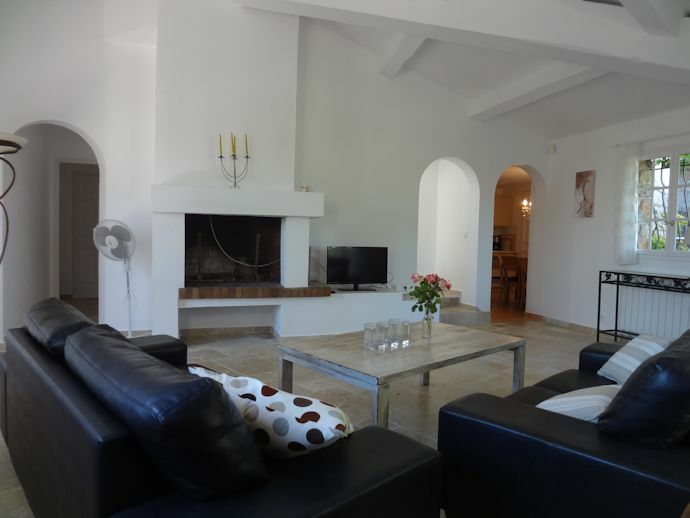 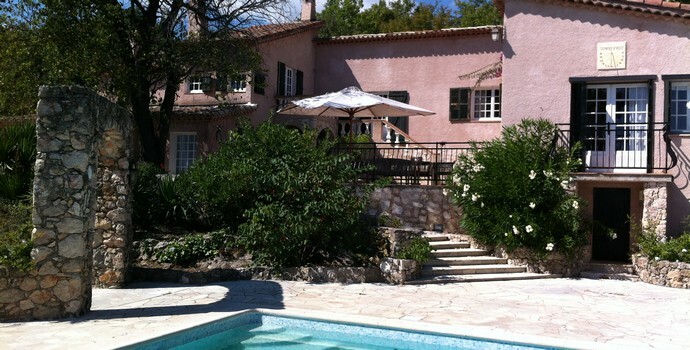 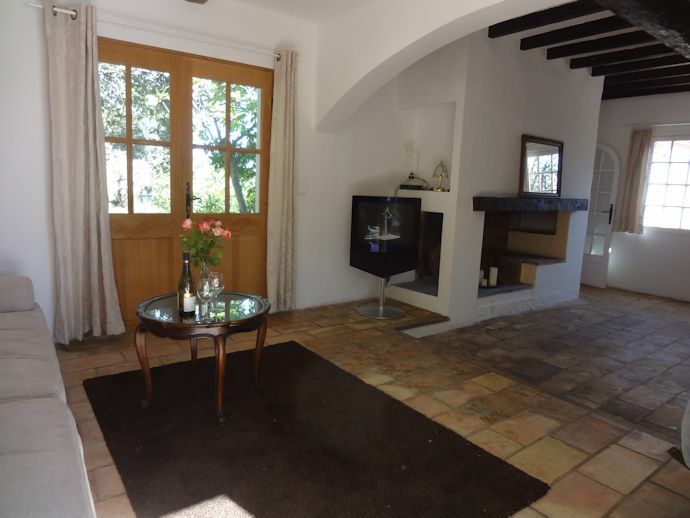 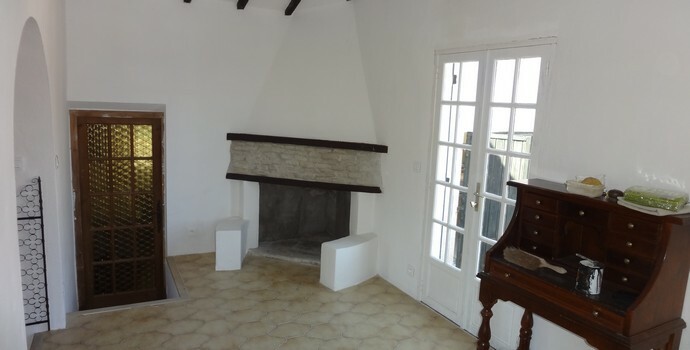 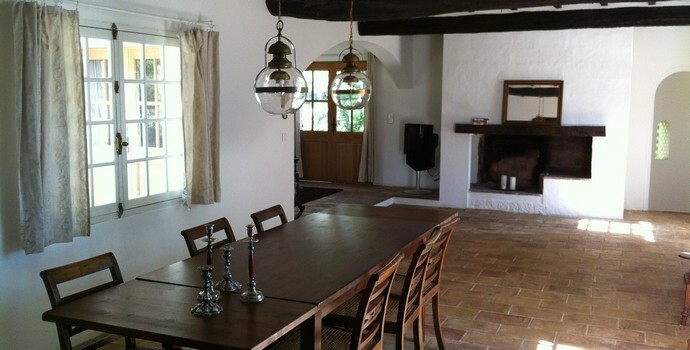 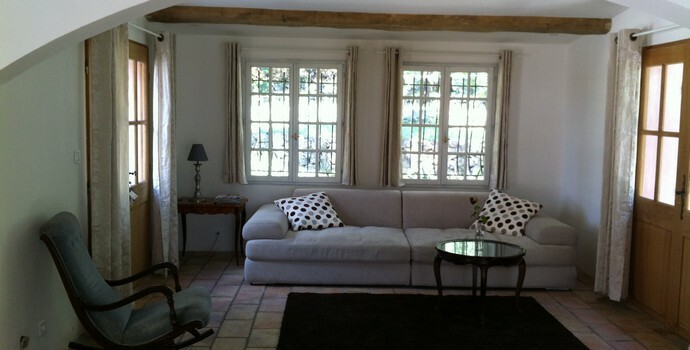 The second villa is a charming Provencal house with wooden beams in the ceiling of the living room. 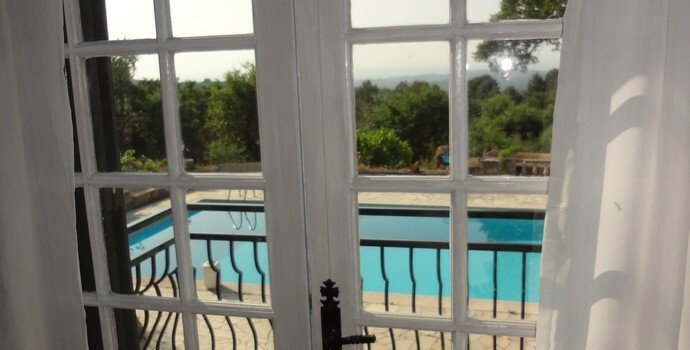 Outside you have several nice terraces with sea view from the top terrace. 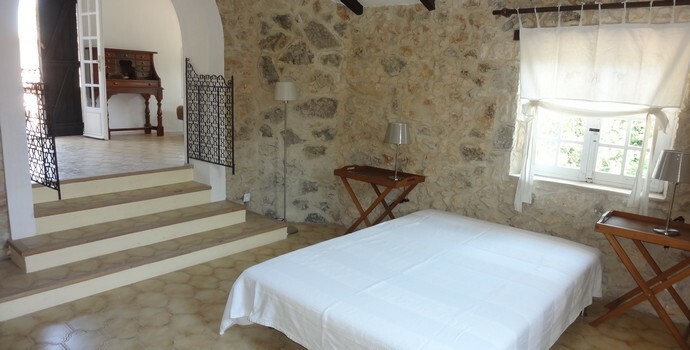 The villa offers 2 bedrooms and 2 bathrooms, a very nice living room and a fully equipped kitchen. 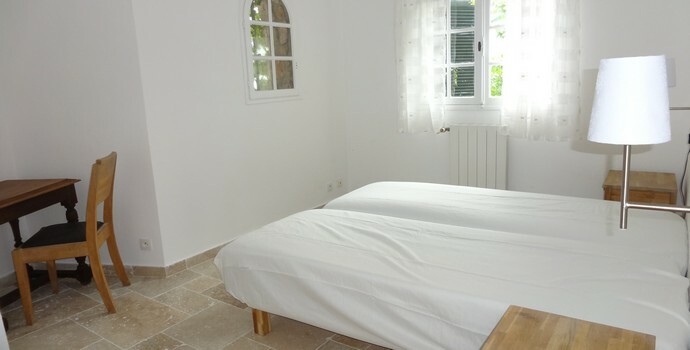 There is an option for extra bedding in a separate room (without en-suite bath and wc), the house will sleep 4 persons with an option for 2 extra persons.